One of the most distinguished and influential directors and choreographers in the American musical theater, Champion was brought up in Los Angeles and took dancing lessons from an early age. When he was 15, he and his friend, Jeanne Tyler, toured nightclubs as “Gower and Jeanne, America’s youngest dance team.” After serving in the U.S. Coast Guard during World War II, Champion found another dance partner, Marge Belcher, and they were married in 1947. In the ’50s they appeared together on numerous television variety programs and in their own situation comedy, THE MARGE AND GOWER CHAMPION SHOW. They also made several film musicals including MR. MUSIC, LOVELY TO LOOK AT, GIVE A GIRL A BREAK, JUPITER’S DARLING, THREE FOR THE SHOW, and the autobiographical EVERYTHING I HAVE IS YOURS. Their exuberant dancing to “I Might Fall Back on You” and “Life Upon the Wicked Stage” were two of the highlights of the 1951 remake of “Show Boat,” which starred Howard Keel and Kathryn Grayson. During the late ’30s and ’40s Champion worked on Broadway as a solo dancer and choreographer. In 1948, he began to direct as well, and won a Tony Award for his staging of the musical “Lend an Ear,” the show that introduced Carol Channing to New York theater audiences. From then on he choreographed and directed a mixture of smash hits and dismal flops in a list that included “Three for Tonight,” “Bye Bye Birdie,” “Carnival,” “Hello, Dolly!”, “I Do! I Do!”, “The Happy Time,” “Sugar,” “Irene,” “Mack & Mabel” (1974), and “Rockabye Hamlet” (1976). They earned him another three Tonys and New York Critics and Donaldson Awards. After some years away from Broadway, he returned (uncredited) to “doctor” “The Act” (1977), but could do nothing to prevent “A Broadway Musical” (1978) folding after only one night. He finished with a smash hit, however, when he choreographed and directed a 1980 stage adaptation of the movie classic 42ND STREET. 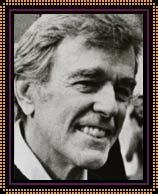 During the show’s tryout in Washington, Champion learned that he had a rare form of blood cancer, and after the first curtain call on the New York opening night, producer David Merrick informed the cast and the audience that Gower Champion had died that afternoon.